Patricia Dunn Demos was born and raised in Huntsville, Alabama where she attended Huntsville High School. She graduated from Birmingham Southern College in 1989 and went on to attend the University of Alabama School of Law from 1989 to 1992. She passed the Alabama Bar Exam in October of 1992 and began her legal career in the Tuscaloosa District Attorney’s Office as an assistant district attorney, first working in the area of child support, then as a juvenile prosecutor, and finally being assigned to prosecute child abuse. In 1993, Patty and her family moved back to her hometown of Huntsville, Alabama. After the birth of her second son, she returned to the professional world of criminal prosecution in 1994, becoming an assistant district attorney for Madison County. As an assistant district attorney, she was first assigned to district court. Under her supervision, Madison County received a domestic violence grant which allowed for the specialized prosecution of domestic violence. Ultimately, Patty was able to combine the Domestic Violence and Child Abuse Units to become the Family Violence and Sexual Assault Unit. As the head of this unit, she supervised two attorneys and support staff as well as coordinated all law enforcement agencies, DHR, the NCAC, Hope Place, and area professionals who worked with the victims and offenders of family violence and sexual assaults. 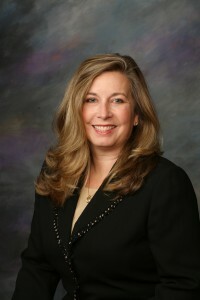 After leaving the district attorney’s office, Patty worked in the law firm of Bill Burgess before opening her own practice. She and her husband Joe have 4 sons, Thomas (16 years), Payton (15 years), Michael (13 years) and Ryan (8 years). Patty enjoys volunteering with Open Gait Therapeutic Riding Center.